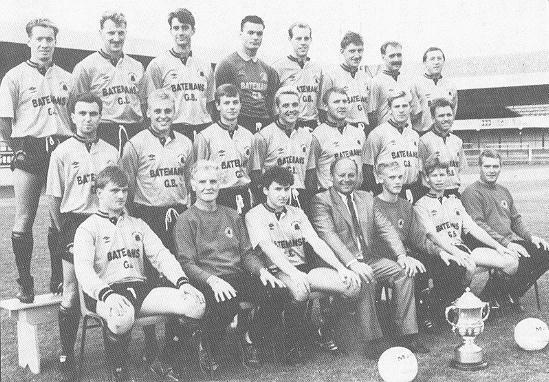 BACK ROW: Stewart Hamill, David Grant, David Mossman, John McKenna, Allen Crombie, David Vaughan, Martin Hardy, Steve Buckley. CENTRE ROW: Paul Shirtliffe, Shaun Hawkey, Chris Grocock, Chris Cook, David Moore, Willie Gamble, Gary Simpson. FRONT ROW: Steve McLauglin, Ted Goddard (physiotherapist), Peter Rawcliffe, George Kerr (manager), Glen Maddison (kit assistant), Mark Melson, Frank Scrupps (trainer).